In the aftermath of a sequence of brutal years of wildfires for the state of California, the government has cast the blame on the Pacific Gas and Electric Company, PG&E. After failing to address the numerous safety issues that have arisen, PG&E has filed for bankruptcy, deepening a financial struggle of who will pay for the billions of dollars of fire damages, most notably the immense costs of the notorious Camp Fire in late November, 2018. What lies beyond the question of costs, however, is an even deeper question—the question of what the role of the government is in providing energy for its citizens. On Jan. 14, 2019, PG&E announced that it would file for chapter 11 bankruptcy, according to the form that it submitted to the United States Securities and Exchange Commission. The development, following a series of legal challenges and liability fees, may at first appear to be a direct punishment to the company for causing a minimum of 1500 fires, according to state investigators, but in reality may deflect the punishment onto consumers. The company faced a similar situation less than one year ago, and it ended with California lawmakers passing a law to allow PG&E to raise rates on consumers in order to cover the costs of damages. 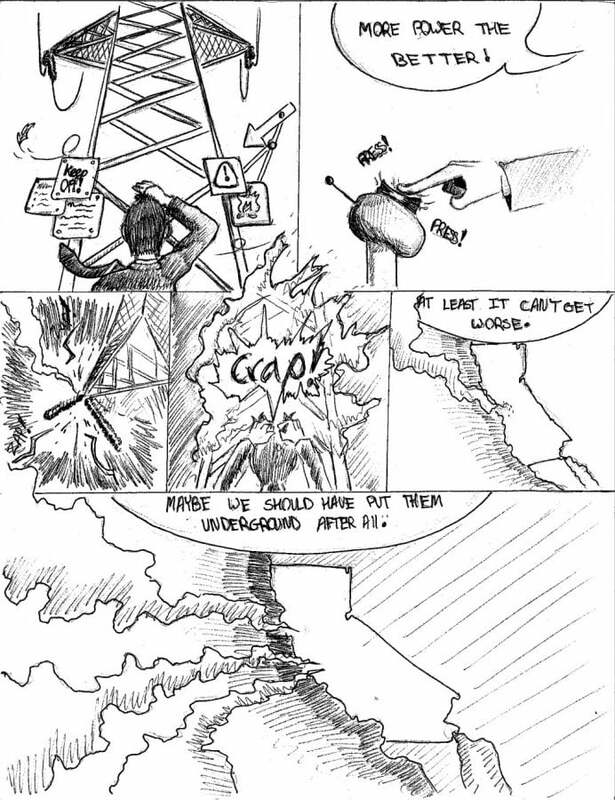 Although energy is a private industry, it is one that the government subsidizes in what is known as energy privatization, and although the industry is private, it does not have the benefit of competition, as PG&E is a state-granted monopoly. PG&E is not alone, however, as managing energy production and transportation has proven to be a difficult task for governments, which is the reason for handing those responsibilities to private companies in exchange for a monopoly in a specific area, the same way that Duke Energy manages electricity for all of Greensboro. Looking outside of the California situation to the more general subject of energy privatization, they also believe that it should be reversed. “Private corporations inherently only prioritize profits while public-owned utilities are mainly for people’s use,” said Andrew Song, a former Early College student and now a resident of California. “I think our government should take over responsibility for energy to ensure its accessible at all times for everyone, also to prevent monopolies in different states,” Degraffenreid said.